Postcard (Klaipėda. 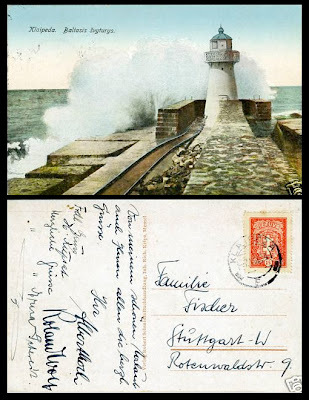 White Lighthouse) from Klaipeda (Memel) to Germany dated 7 August 1934. Domestic rate of 15 ct. The domestic rate to Germany was allowed until 1936. Klaipeda "F" cancellation.